Starting at $49/hr. Fuel Included. No Deposit. No Towing. 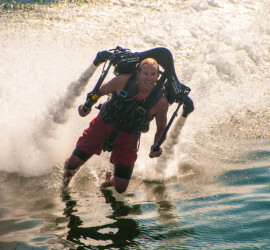 Experience a new thrill by flying high above the water with fly boarding. Enjoy renting a pedal boat, kayak, SUP, and even a 6 or 9 passenger boat! 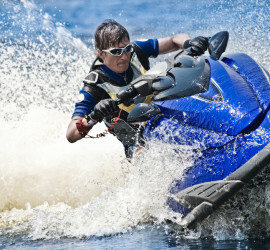 Rent one of our luxurious 2018 jet skis starting at $49/hr. Fuel included, no security deposit! Interested in flying? Let's take you 50 feet above the water with our fly boarding lessons. Check out all else we have to offer. Enjoy a pedal boat, kayak, SUP, or even a passenger boat!